Each link below contains an embedded Google calendar with the store hours for the listed location along with other pertinent details. This location offers our full array of services and course materials for all courses. This location offers course materials for AMIL, CCPT, SSTC, and Meade HS only. 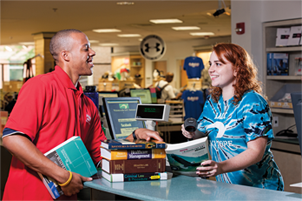 If you wish to purchase materials for online courses or courses offered at any other location, please place your order online and select Pickup at Arundel Mills for your shipping method when checking out. The Glen Burnie Town Center location was permanently closed on June 16, 2017. Please visit one of our other locations or place an order online.